Timeless Massimo Vignelli is a tribute to one of contemporary design’s most influential figures. Massimo Vignelli (1931–2014) is renowned for his design of the New York City Subway map and signage, but his branding work for American Airlines and Knoll will also be familiar to most design enthusiasts. 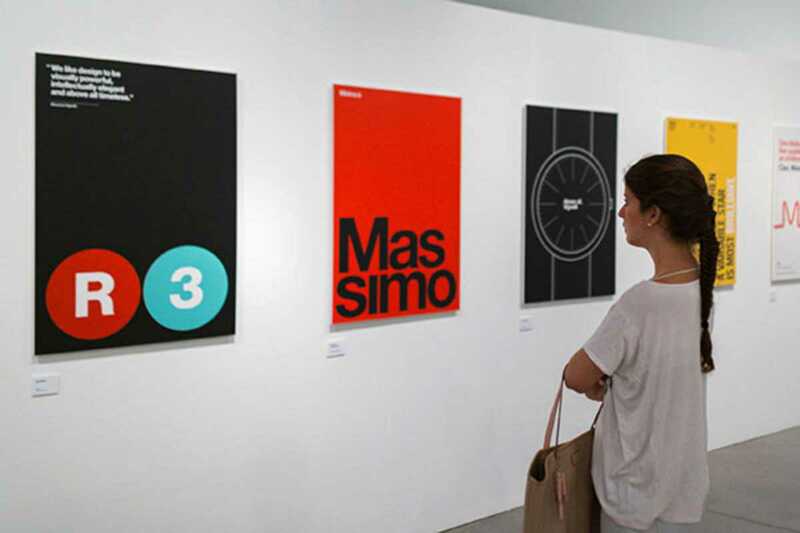 Curated by Basque design studio Husmee, the show comprises 54 posters commissioned to capture Vignelli’s design style and ethos. Participating individual designers and design studios incude Javier Mariscal, Alberto Corazón, Enric Satué, Mark Studio and Mash Creative. Be sure to check out Vignelli’s pencil sketches, which provide a glimpse into his design process. The exhibition also showcases Vignelli’s talent as a furniture designer, with his iconic Handkerchief and Twist chairs both on show.